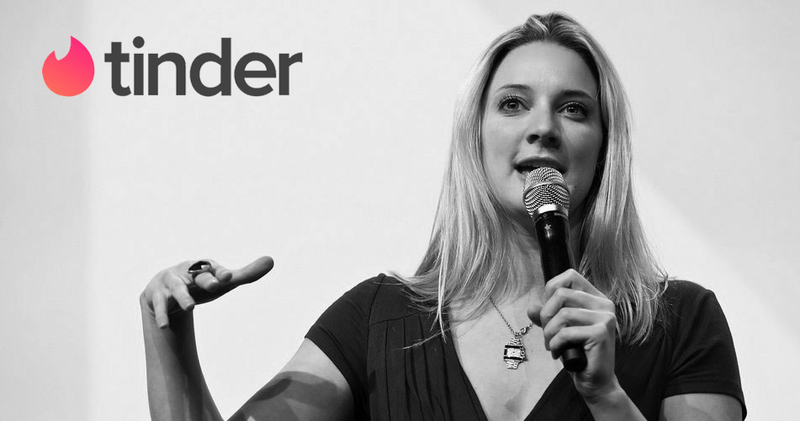 Let’s continue with the powerful woman by announcing the next speaker of sTARTUp Day 2019 – Hermione Way, dating app’s Tinder former Head of European Communications. Besides that, she is working as a brand consultant. Now she’s sharing her experiences from Tinder, the importance of PR and how to get noticed. “The story is everything – humans are emotional creatures. For centuries stories have been the crux of communication – from the Bible to the Internet,” Hermione says, who has over 10 years of experience in marketing startups in the technology industry. What was the most exciting thing about working at Tinder? I was helping to manage the PR & Marketing for 91 million swipes per day, it’s amazing that a company that didn’t exist 6 years ago is now a household name. You can buy likes, you can buy views, but if you are looking for the most effective sales channel you need to connect with human emotions. While working at Tinder, what did your typical working day looked like? Every day was different, but it was my job to come up with interesting campaigns and partnerships to grow the brand and engagement across Europe. I helped diversify the brand taking it into healthcare with a campaign that promoted blood donation and into politics with an informational campaign around the European referendum. Current marketing trends are about showing raw and uncut emotions. Should startups try to include the same kind of transparency in their marketing strategy? You can buy likes, you can buy views, but if you are looking for the most effective sales channel you need to connect with human emotions. Emotion is what drives humans if you look at all the top technology companies; Tinder, Airbnb, Uber – they are not the most complex platforms, technologically speaking, but they are platforms that make it easy for humans to connect on. You’re going to speak atsTARTUp Day about how to build a brand across social media and create interesting stories that get picked up the press – why is PR important for startups? The story is everything – humans are emotional creatures. For centuries stories have been the crux of communication – from the Bible to the Internet. Without a story, you are just another product, another app. Learning how and why to tell stories that coincide with news at the time is essential. It’s very impressive that a small country [like Estonia] has had such a big influence in the technology industry. What is the secret formula of a successful career? Never stop moving, be interested in other people, be amazed at this world we live in, be annoyed by things and then come up with solutions to fix them, turn them into billion dollar companies. Do you believe Tinder can be a place to find your true love? In Tinder we had #SwipedRight – this is a place where millions of people can share their stories of finding love on Tinder. We also had thousands of ‘Tinder babies’ – babies born to parents that met on Tinder. sTARTUp Day is taking place in Tartu, Estonia. What do you know about Estonia and our startup ecosystem? It’s very impressive that a small country has had such a big influence in the technology industry. I also know Estonia was the first country to adopt a blockchain e-residency. I’m looking forward to finding out what’s in the water to make it such a technologically advanced place! Hermione Way will share her learnings about building a brand across social media and how to create interesting stories that get picked up the press at sTARTUp Day 2019. Early Bird tickets are available until 31st October 2018. Get yours here!